Nene Rubber manufacture ring buffers to client specification. Standard specifications are are detailed in the table below. Custom designed can be undertaken tocustomer specification. 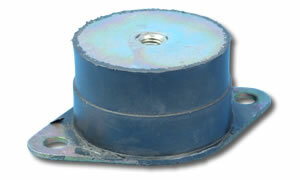 Ring buffers are ideal for static floor mounted applications set under compression such as machining centers, presses and special purpose machines and other situations that require the isolation of vibration.